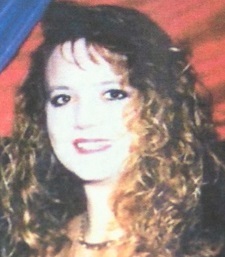 On Thursday, the Potter County Sheriff's Office served an arrest warrant in the February 1994 homicide of Jackie Hogue. Hogue's mom found her body in a Bishop Hills home. On or about August 14, 2017 it was decided that the Potter Randall Special Crimes Unit would disband. The Potter County Sheriff’s Office would now be investigating their own homicides and suspicious deaths. This would include any unsolved cold cases that had been originally assigned to the Potter Randall Special Crimes. These open and unsolved cases were transferred back to the Potter County Sheriff’s Office along with all the evidence that could be obtained. The Potter County Sheriff’s Office Criminal Investigation Division detectives began working on these cases and getting them in order. One cold case from February 1994, the Jackie Hogue Homicide stood out and our guys began to investigate the case. On or about July 12, 2018 Cold Justice, the Oxygen Channel television series that assist law enforcement agencies with unsolved cold cases contacted us seeking to see if we had any unsolved homicide cases they could assist us with. The Jackie Hogue case was suggested and we began corresponding with the Cold Justice Legal Team. They in part needed our cooperation as well as the commitment from the District Attorney’s Office that if we could present a case the, DA’s Office would review the findings. The 47th District Attorney Randall Sims agreed to this stipulation. Our detectives worked many weeks getting the case ready for Cold Justice, reports and information was passed back and forth and a professional relationship quickly developed. In Mid-January Cold Justice and their production team arrived at the Potter County Sheriff’s Office and began reviewing the Hogue case with our two investigators, Lt. Steve White and Sgt. Brad Haley. Due to the case being more than 25 years old, some of the original investigators and witnesses had passed away. During the investigation, witnesses were recontacted and evidence was reprocessed and analyzed. This in turn identified a suspect and the probable cause statement was presented to the 47th District Attorney’s Office. The case was recently taken to a Potter County Grand Jury and today a Murder Warrant was served on the suspect, Jesse Hogue who now resides in Colorado. This is just a start to getting some closure for the children, family, and friends of Jackie Hogue. We would like to again thank the Cold Justice team for their assistance in this investigation. We also want to thank our two CID Detectives Lt. Steve White and Sgt. Brad Haley for their diligence in this case and the 47th District Attorney Randall Sims for his acceptance of the case.